Static caravan site owners (for commercial gain). 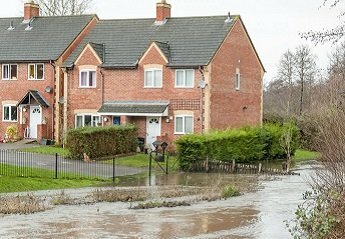 Create a ‘level playing field’ for UK insurers, which means they can still offer homeowners an affordable range of appropriate policies to those homes at risk of flooding. My current insurance has a high flood excess, can Flood Re reduce this? Get an immediate quote here or phone 0333 004 6444. How do I switch to a Flood Insurance Direct policy? If you have any questions about switching from your existing home insurance to a new Flood Insurance Direct policy, please call our team now on 0333 004 6444. How is Flood Re being funded? The insurance industry itself paid the set up costs of Flood Re, which are over £20 million. The pool of money to cover claims made on policies which are in the scheme will come from two places – the charge for each policy which is passed into Flood Re, and an additional annual £180 million levy on UK home insurers. Flood Re also has its own reinsurance policy in place to ensure it will be able to cope with significant or multiple flood events. How are the costs of putting a policy into Flood Re calculated? When a policy is passed into Flood Re, the insurer will be charged a fixed sum dependent on that property’s council tax band. For higher risk homes, this set price will be artificially lower than the price in the market which is based on risk, meaning the insurer should be able to offer the customer a lower price for the flood part of their insurance. The final amount the customer is asked to pay for the overall insurance policy will depend on a wide range of factors, which different insurers take into account in different ways. 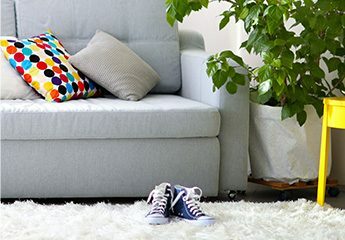 This will include considerations such as what the policy holders do for a living, the age and condition of the property, and the likelihood of a claim being made because of fire, theft or subsidence, for example, not just flooding. How is it decided which policies end up with Flood Re? It is expected around 350,000 properties will meet the eligibility criteria and benefit from Flood Re over time, although there is no cap. This figure represents about 2% of eligible UK households. The decision about which properties are passed on will be taken on a financial basis; if a property can get a better price for flood insurance outside of Flood Re there will be no need to use it. Only when the cost of covering the flood risk becomes more expensive than the cover offered by Flood Re will it make sense to pass that part of the policy on. This means the properties which end up in the scheme cannot be predicted on a purely geographical basis – and it is possible different decisions could be reached even for neighbouring properties. The majority of homes in high flood risk areas will be eligible for Flood Re, but there are some exclusions. Properties built after January 1st 2009 are not covered because it’s important not to incentivise home-building in flood risk areas. Flats in leasehold blocks containing four or more homes are also excluded. This is a home insurance scheme - Why does it not cover businesses? Home and business insurance are very different things, and home insurance is a simpler product. It is not possible or appropriate to extend Flood Re to cover businesses. Where there are small businesses which face difficulty getting property insurance because of flood risk, the nature of this problem is on a much smaller scale nationally and is of a different nature to those faced by domestic properties. Will the cost of insurance fall as a result of Flood Re? Householders who pay higher premiums as a result of their home having flooded, could expect their home insurance to become more affordable. This is partly due to a combination of insurers being able to pass the flood risk to Flood Re. Flood Re will not set prices for home insurance, but will give insurers the opportunity of passing to them the flood risk element of a home insurance policy (buildings and contents) at a premium that will be capped, depending on the Council Tax band of the property. It will be up to an insurer to decide if they wish to pass the flood risk element of the cover to Flood Re. Will customers need to have any direct contact with Flood Re? Customers will continue to buy their home insurance in the same way as before. If a customer needs to make a claim they should contact their insurance provider directly, just as they do now. Flood Re will work ‘behind the scenes’ with the insurance company, to reimburse them for any payments they make to their customers and so there will be no need for homeowners to contact Flood Re directly. What does the scheme mean for customers? Will insurance premiums be capped? Insurers will still be in control of pricing for overall home insurance. Flood Re will charge a fixed premium per policy to insurers, relating to the flood element of the policies transferred to Flood Re. These premiums will be lower than would be the case if the flood risks were fully taken into account, as contributions to the costs will come from a statutory levy on all home insurers in the UK. Flood Re also offers insurers an excess per policy of £250 and this should benefit people living in areas at risk of flooding. We are planning on buying a holiday home but have been told that we will find it very difficult to get insurance as it is in a flood risk area. Will this be included in the Flood Re scheme? 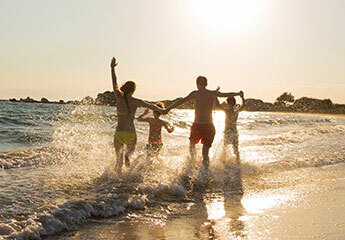 Your holiday home will be included if the insurance policy is taken out in your name and meets the other key criteria of the scheme. These are that the property has a council tax band and is used for residential purposes only. The holder of the policy, or their immediate family, must live in the home for some or all of the time or the home must be unoccupied. If you are purchasing this home as a holiday let and you are not using it for personal use then it will be excluded from the scheme. Will my caravan be covered under the Flood Re scheme? If you have a static caravan and it has a council tax band then your caravan will be eligible for Flood Re. However, if your caravan is part of a commercial caravan park and let out as a business it will not be included. If you own a caravan which sits on your drive and you use it for holidays then this will be covered either under your motor insurance or a separate caravan policy and therefore will be excluded from Flood Re. My property is termed 'medium' risk and as such I cannot find affordable home insurance. Will Flood Re cover me even though my home is not deemed to be a high risk property? The assessment of the level of flood risk is not part of the decision making process as to whether your property is eligible to benefit from Flood Re. To be eligible for Flood Re your home must have been built before 1st January 2009, be insured by the individual home owner (not a company) and have a council tax band. If those key conditions are met then you will be able to benefit from Flood Re via an insurer who is participating in the Flood Re scheme. Why hasn’t the scope of Flood Re been extended to include properties built after 2009? The reason for maintaining 2009 as the cut-off point is to ensure continuity with the Statement of Principles which did not apply to properties built after 1st January of that year. Flood Re should incentivise rigorous and responsible planning decisions. Registered Office 2 Aire Valley Business Park, Bingley, BD16 1WA.